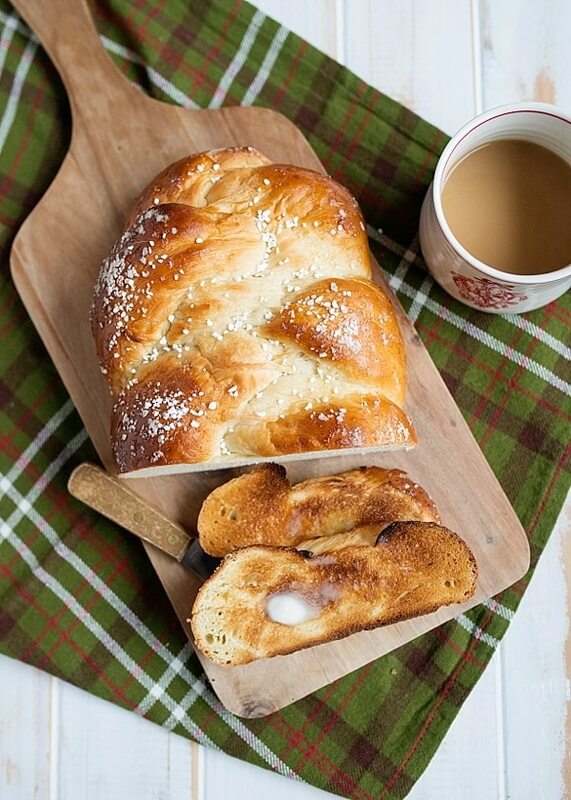 Braided Cardamom Bread or Finnish Pulla is a great bread for the new bread baker. It makes two delicious loaves or is an excellent dough for cinnamon rolls. Lots of our friends and family are getting pounded with snow. I’m not going to lie, I’m a little jealous. I LOVE a good snowstorm. Our first year on the Cape, we had a blizzard every few days for almost 2 months. It was INSANE. But it was also really nice to have the time to snuggle on the couch with a roaring fire and read or play board games. I also had a lot of time to make things that I wouldn’t normally because I had the time. I made a lot of slow cooked cozy dinners and a lot of bread. Making bread might seem hard, but it really isn’t. It is really more about being patient than anything. 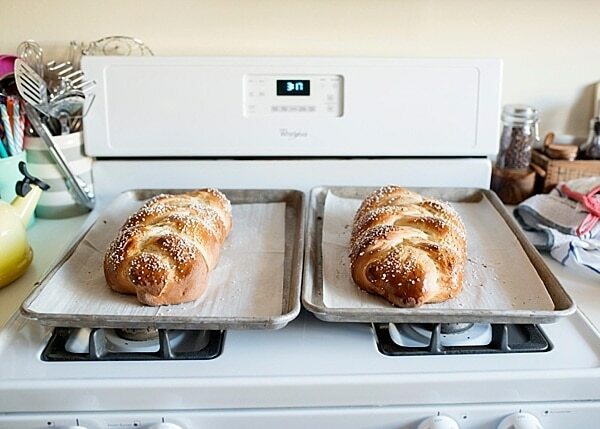 A few simple ingredients, and some time, yield loaves of the most delicious bread. There really isn’t much that is more rewarding than making your own bread. And nothing compares to how it makes your house smell. I always feel so accomplished when I can say that I baked my own bread. 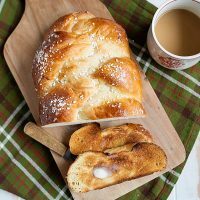 There are two ingredients in this Braided Cardamom Bread that you might not have on hand but are worth having in your spice cabinet and pantry. The first, not surprisingly, cardamom. Cardamon is a spice that is used in a lot of European baking, particularly Scandinavia. Cardamom is also used in a lot of Indian cooking and is found in chai tea. I love it and have been using it more and more. The other is pearl sugar. Have you ever had a liege waffle or one that has some crunch in it? The crunch is from pearl sugar. I bought pearl sugar from King Arthur Flour, but have also seen in it in the grocery store. You can find it with the sugar but on the top shelf. If you don’t want to buy it, you can use sugar cubes. Put the cubes into a Ziploc bag and crush them with the back of a big spoon. You want chunks, so be careful to not completely crush them. This dough also makes incredible cinnamon rolls. This recipe makes two loaves, you can make one roll of bread and use the other half for cinnamon rolls. This recipe comes from the book Scandinavian Gatherings by Melissa Bahen. Add 2 cups milk and sugar to a small saucepan over medium-low heat. 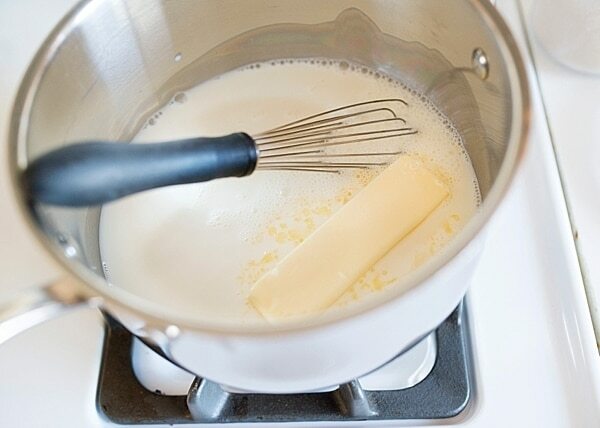 Whisk until combined and add butter. When the butter has melted, remove from the heat and stir in yeast. Let cool until the mixture is the temperature of a warm bath. Too cool and the yeast will not activate, and too hot and the yeast will die. 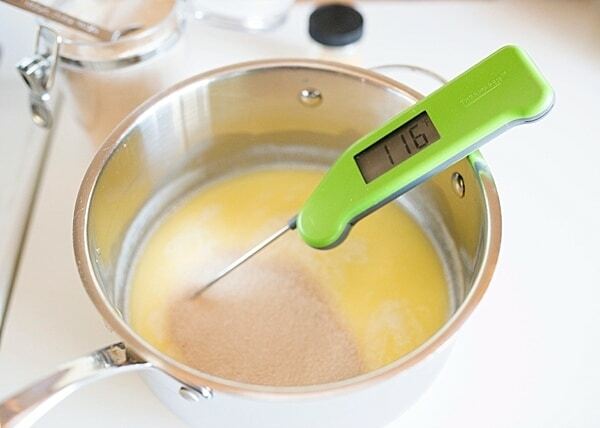 I use a thermometer and like to be in the 100° to 118° range. You will know that your yeast has activated when bubbles begin to form. 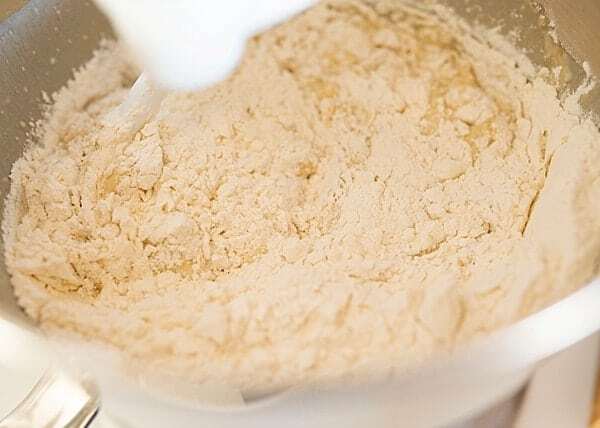 While the yeast is cooling, add 2 cups flour, salt, cardamom, and one egg to the bowl of a stand mixer with the dough hook attached. Pour the milk mixture into the bowl and stir until combined. Put in 3 more cups of flour and stir until completely incorporated. Add the remaining cup of flour a little at a time and stop when the dough forms a ball and is no longer sticky to the touch. Transfer the dough to a large, lightly oiled bowl. Cover with plastic wrap. I like to go an extra step and put the bowl inside of an extra large Ziploc bag. It creates a draft-free rising environment. Let rise until doubled, about one hour. 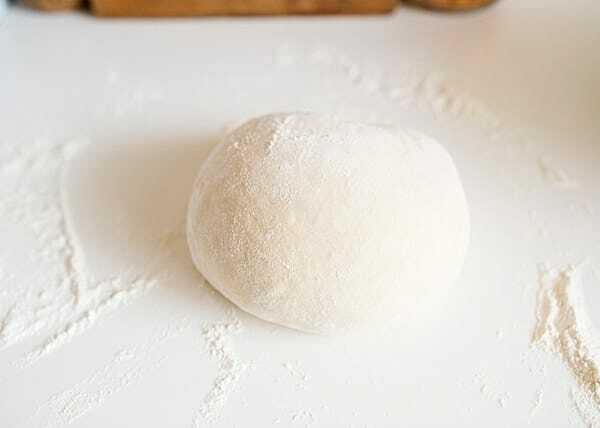 Turn the dough out onto a well-floured board. 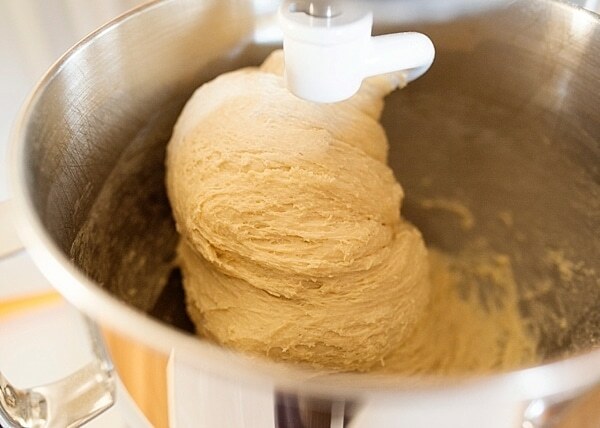 Punch the dough down, knead by hand for one to two minutes, then let the dough rest for 10 minutes. Preheat oven to 375°. Roll the pieces into a skinny rope about 15 inches long. Line up three pieces of dough and pinch the top together. 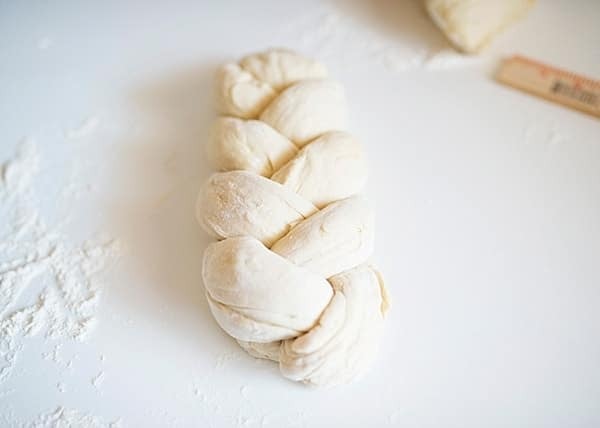 Braid the three pieces into a loaf. Pinch the bottom and tuck underneath. Repeat with the other three ropes. Transfer to a parchment-lined baking sheet. 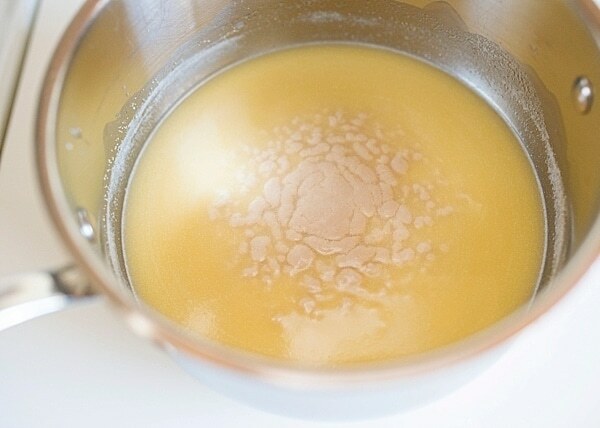 Make an egg wash by whisking the remaining egg and one tablespoon milk. Brush the sides and top with wash and sprinkle pear sugar all over. Bake the loaves for 20 minutes, or until golden brown. Let cool before slicing. Add milk and sugar to a small saucepan over medium-low heat. Whisk until the sugar dissolves. Add the butter and stir until the butter is melted. Remove from the heat. 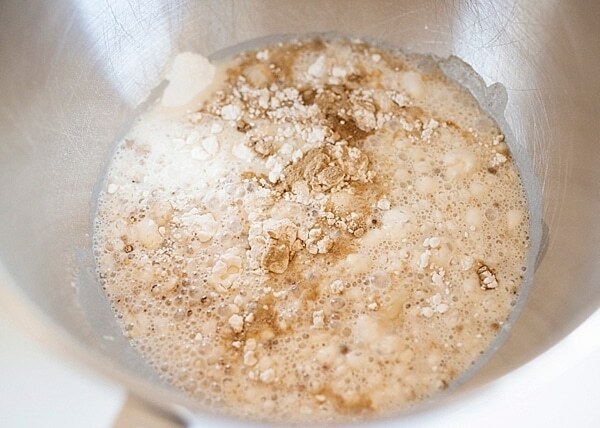 Allow the milk to cool down to the temperature of a warm bath (not too hot and not too cold) and stir in yeast. Allow to sit for 5 minutes, you should see bubbles on the surface and it should grow in volume. 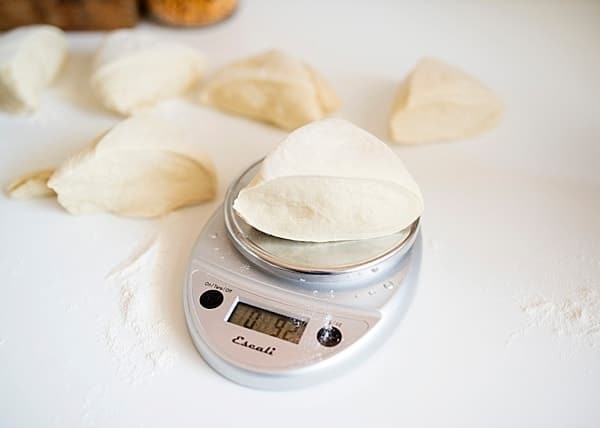 Transfer the dough to a large bowl that has been lightly oiled. Cover with plastic wrap and let rise in a warm spot until doubled in a size, about one hour. 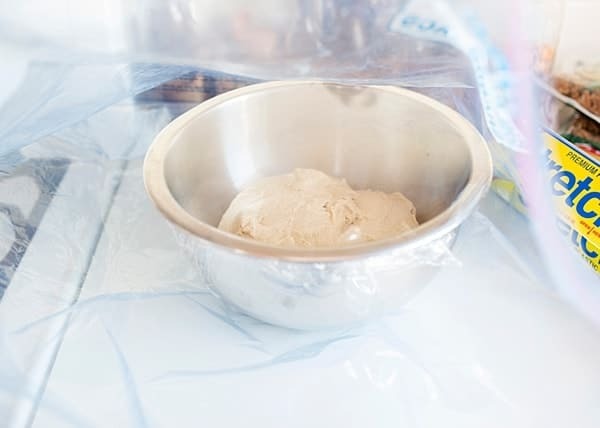 Punch the dough down and knead by hand for 1 to 2 minutes on a well-floured surface. Let rest for 10 minutes. 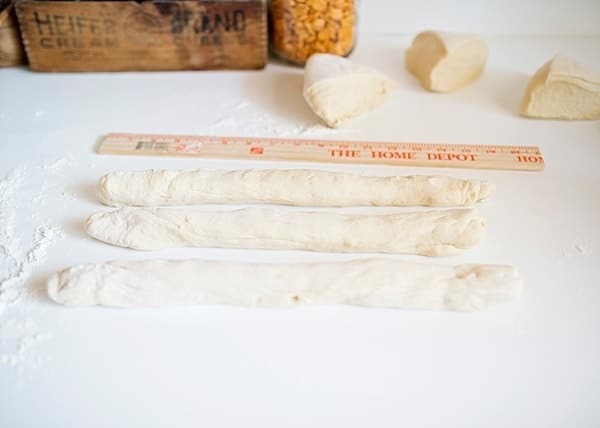 Divide the dough into 6 equal portions. Roll each piece into a skinny rope about 15 inches long. Line 3 ropes side by side on the counter in front of you. Pinch the three pieces together at the top and braid the three pieces into a loaf. When you reach the end, pinch the remaining dough together and tuck it under the loaf. Repeat with the second loaf. Transfer to a parchment-lined baking sheet and rise for 30 minutes. 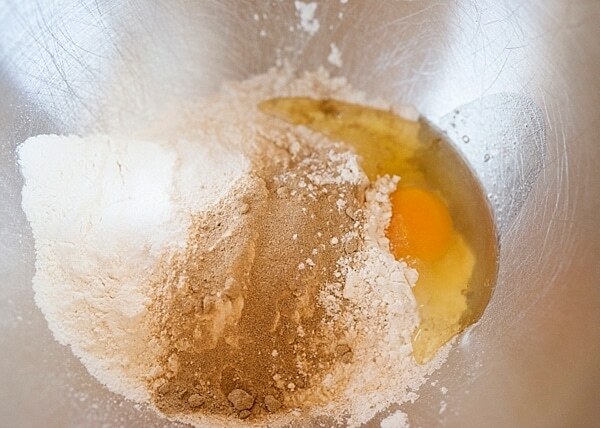 Make an egg wash by whisking the remaining egg and 1 tablespoon of milk together. 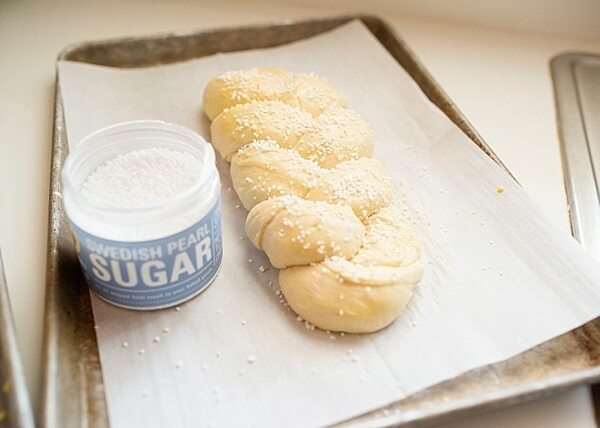 Brush the tops and sides of the loaves with egg wash. Sprinkle each loaf with pearl sugar. Bake for 20 minutes, or until the loaves are browned on top. Let them cool before slicing. Pearl sugar can be ordered online. 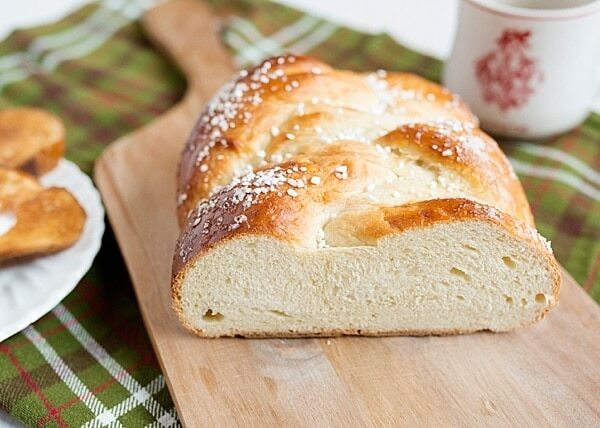 This bread can be made by hand, a stand mixer is not required. This bread freezes well. Wrap tightly in plastic wrap and freeze. Leftover bread makes excellent French toast. 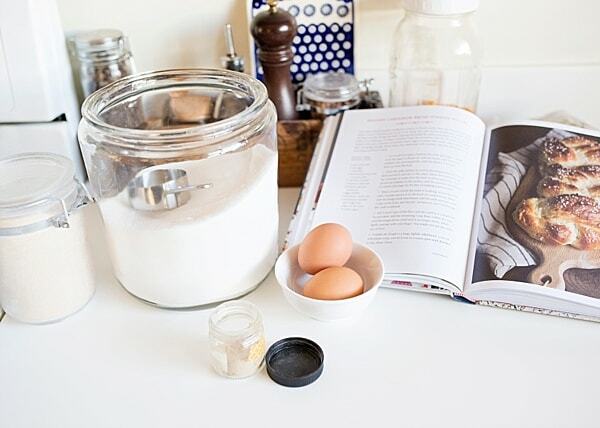 A recipe great for a new bread baker. It is very forgiving and versatile. This dough makes excellent cinnamon rolls. Leftover bread freezes beautifully wrapped tightly in plastic wrap. 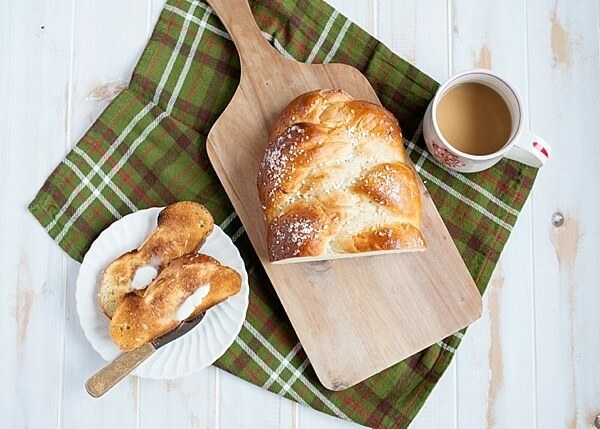 This Braided Cardamom Bread post contains affiliate links. At no cost to you, I will earn a commission if you make a purchase using my link provided. This looks incredible! Do you think it would work okay with a different flour? I’m gluten free but don’t want to miss out! I wish that I could say I know for sure, but I don’t. I would try it with GF cup for cup flour. This bread was fabulous! I only made half of the recipe but should have made both loaves. 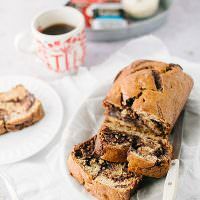 Your recipe was well written and the pictures really helped. Thank you for sharing. I am so glad you liked it! And yes, it freezes really well, so I always make both loaves.